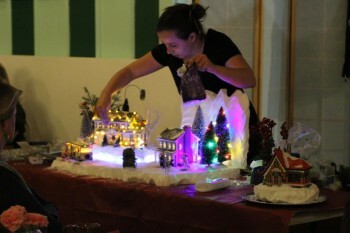 Irena Tomova from Department 56 will demonstrate tips and tricks for creating enchanting holiday village displays. Tickets are $5 per person, includes wine, appetizers & a coupon toward a Department 56 purchase. Register by phone (ask for the Christmas Rooms). This event has a 48-hour cancellation policy. To receive a full refund, you must call the store and inform the Christmas Department at least two days before the event.